H. Samy Alim and John Baugh, eds. (Multicultural Education Series, James A. Banks, series editor). This volume brings together some of the leading scholars in the study of Black language, culture and education to present an interdisciplinary approach on language education and also to promote an action agenda for social change in the continuing struggle for equal language rights. An overall perspective adopted in the discussion of the book is that of the need to move the language conversation to the higher ground of the collective – locally, nationally, and globally. Thus, the book will be highly attractive to anyone interested in both the creative, classroom-based, new pedagogical approaches in the education of linguistically marginalized youth (from hip hop culture to the art of teaching narrative comprehension) and the broader, global concerns that impact schooling (from linguistic emancipation to the case of mother tongue education of South Africa). It is stated repeatedly that language is a highly important instrument of social transformation, not only for Black people but for all people everywhere. The brilliant papers in this book speak volumes to that progress. As Geneva Smitherman, to whom this volume is dedicated, claims at the end of the book, “language is a people’s identity, culture and history”, and that with words, to borrow from Ishmael Reed, you could even “raise the dead”. As Talking Black talk is an important contribution to the growing need of taking an action-oriented approach toward social change, the contributors to this volume are taking part in an agenda that focuses on preparation, pedagogy and policy. According to the editors, there are three major action points that should be placed high on the language education agenda for the coming half century: (1) the development of teacher education programs in language and literacy; (2) the development of new language pedagogies; and (3) the development of comprehensive, systematic reform in language education policy. Each of the contributors in this volume addresses one or more of these central themes. The book is divided into three parts evolving around the following issues: language, literacy and liberation (Chapters 1-4); culture, communication and consciousness (Chapters 5-7); and toward linguistic emancipation (Chapters 8-10). Part I begins with H. Samy Alim’s chapter, “’The Whig Party Don’t Exist in My Hood’: Knowledge, Reality and Education in the Hip Hop Nation’, which promotes a more student-centered approach to language and literacy development and also challenges educators to go beyond using African American English as a vehicle to teach Standard American English. What is suggested here is the importance of the development of innovative language pedagogies, such as Da Bomb Squad Comprehensive Literacy Program and Hip Hop Culture as educational practice that is building upon the cultural-linguistic realities and experiences as the sources of knowledge and learning of Black students. In the following chapter, “The Ebonics Phenomenon, Language Planning and the Hegemony of Standard English”, Charles De Bose, as an advocate of full recognition, continues the interrogation of Standard English Hegemony and characterizes African American Language (AAL) as a language in its own right. However, the acceptance of AAL as a modern, functional language of instruction raises some fundamental questions, like what degree of mastery of Standard English should be expected of students for special purposes such as grade promotion, graduation, and admission to college? These issues still need to be resolved. The following two chapters offer insight into teacher attitudes and classroom based instructional approaches to language and literacy development. Chapter 3, “Developing Academic English for Standard English Learners”, by Noma LeMoine and Sharroky Hollie, highlight that the knowledge of how to use culturally responsive pedagogy is a key to teachers performing effectively. In another words, teachers of SELs (Standard English Learners) should become familiar with the learning styles and strengths these minority students bring to the classroom. For instance, the AEMP (Academic English Mastery Program) is designed to eliminate disparities in educational outcomes of underachieving students by applying well-developed, research based instructional practices, such as linguistic awareness and infusion to promote the acquisition of school language, literacy and learning. Angela Rickford in Chapter 4, “Art and Science of Teaching Narrative Reading Comprehension”, discusses simple but powerful ways to help teachers achieve their goals when teaching narrative reading and comprehension to ethnically diverse students to whom English is often not their mother tongue. Many teachers feel unprepared to meet this challenge, but paying attention to narrative structure and that of designing strategic questions in teaching narrative reading comprehension seems to be effective and vital to children’s success. All the chapters in Part II attempt to describe and theorize Black American Culture and communicative practices in micro and macro terms. In Chapter 5, “The Power of Rap: The Black Idiom and the New Black Poetry”, Geneva Smitherman continues the theme of liberation and links Black Language (BL) to social change through representing the Black Art, Black Aesthetic and the New Black Poetry as the medium of expressing of the unique interrelationship between language and cultural values as it relates to the experience of African-Americans. The central emphasis is on the representation of the specific rhetorical devices and linguistic patterns inherent in Black verbal style (characterized by stylistic features, such as the Dozens, the Toast, Call-Response, Signification and Rhythmic Pattern). This Style is, as Smitherman calls it, the “Power of Rap”, a kind of “hypnotic black magic on the souls”. In Chapter 6, “Sounds Bouncin Off Paper: Black Language Memories and Meditations”, Sonia Sanchez discusses BL from historical, cultural, literary and educational perspectives. She shows great skills in making interesting links between BL and Black literary and musical traditions and innovative cultural forms, such as Hip Hop Culture. One of the central subjects – the use of the students’ home language in classroom instruction – also tackled in the first and last sections of the volume reappears in this chapter when Sanchez discusses her innovative pedagogy of poetry. I find this chapter extremely powerful because of the ways it tries to defeat linguistic myths and misconceptions about African American language. Sanchez offers a transformative perspective on Black language by constantly reminding the reader that it is not a problem or an obstacle to be overcome but a source for Black people to invent and reinvent themselves. Chapter 7, “African American Communicative Practices: Improvisation, Semantic License, and Augmentation”, by Arthur K. Spears describes and theorizes Black American communicative practices in macro and micro terms. Spears touches on the issue of the radical difference between the language use of Black Americans and that of Whites by describing the widespread features and principles that give AAL its distinctiveness, such as improvisation, performativity, directness and augmentation. All these features, as Spears remarks in his conclusion, provide the perfect vehicle for expressing direct content and for displaying creativity. Part III of the volume offers insight into the local and global dimensions of struggle for equal language rights. In Chapter 8, “Linguistic Emancipation in Global Perspective”, the two authors, John Baugh and Geneva Smitherman, offer a brief summary of the most critical research on the speech of Africans in the United States from the King case to the present (Post-King era). King (1979) – which raised the critical issue of the relationship of AAL to educational policy and public practice – turns 31 but the linguistic barriers and their racially motivated existence still need to be overcome. 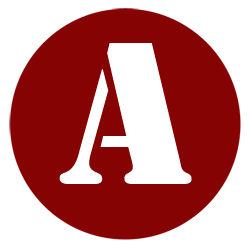 Baugh and Smitherman argue convincingly that there is an urgent need for language pedagogy specifically designed around languages that suffer linguistic discrimination, such as AAL. As the authors remark, the chapter can be considered as a call for scholarly responsibility on language matters within and beyond the African Diaspora. children who are discriminated against because of their language (which encapsulates the essence of who they are) to equally participate and succeed in education. In Chapter 10, “Mother Tongue Education and African Renaissance, with Special Reference to South Africa”, Neville Alexander focuses on the difficulties of language medium policy and mother tongue education (MTE) in post-apartheid South Africa where the colonial language, English, is the language of teaching after the first few years of primary school. It is stated repeatedly by Alexander that multilingualism (including English as one of a package of language resources) is an asset and also the best strategy for social transformation. Most of the chapter revolves around the idea that people have an intrinsic right to use their languages as a part of general strategy of equality and full participation. All in all, this volume achieves its main goals as an action-oriented agenda for social change while the interdisciplinary contributions address a variety of specific topics that form a somewhat coherent set of terms of the all encompassing general theme, which corresponds to the continuing struggle for equal language rights. 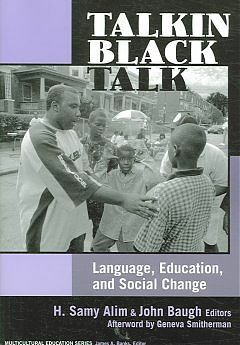 Talking Black talk aims to offer, in the words of series editor, James A Banks, a revision of the difficult and enduring problem of public schools’ failure to educate Black children and also revises the new approaches to language and literacy learning in today’s culturally and linguistically diverse classrooms. In spite of the fact that the collection of papers produced for this book offers only a representative insight into the studies of Black American speech and writing, it is a volume greatly compelling in its main points.